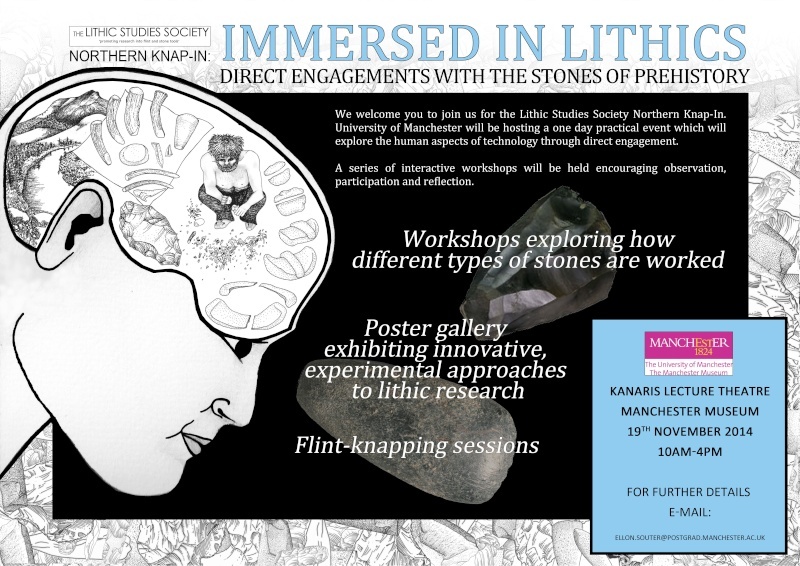 Lithic studies society Northern knap-in 2014.
" />Got sent this today, I guess email first to let them know you're coming and turn up and knap, I gather you don't need to be a member at all. Direct engagement indeed! Re: Lithic studies society Northern knap-in 2014. Does seem a long way to travel though fro a beginners event. Yep, too far for me! It is good that there are some sort of knapping events in the UK. Pity it's so far from here! Hrrumph. It's very cheap for only a tenner, but limited to 65 places, so try and book early as possible. Grendel wrote: It's very cheap for only a tenner, but limited to 65 places, so try and book early as possible. doesnt look like i will be able to make it - i just checked and its a wednesday - i had thought it was at the weekend - i dread to think of the H & S they will have to have - all goggles, hard hats and yellow jackets still will be a good day and its great to see some people spreading the interest. Did anyone go to this? It was an ok day, but not really a knappin that i understand. I ended up spending a part of the day making late- meso blade cores for the archeology department. Nope, but I was kinda tempted though, travel was an issue for me. They have just sent me another palaeo-meso type talk, I can post the link if you folks would like? Way to far away for me. Also were there many people there that could knap? nope i couldnt go mid week, shame as it sounded good. A micro Knap-in then. It shows that there are few of us around. There is this coming up soon, though not a knap-in. Oral presentations will be 20 minutes (15 minutes, plus 5 minutes for questions). There will be a poster session during lunch. Papers and posters are welcomed on all aspects of experimental archaeology as applied to the Palaeolithic and Mesolithic. The deadline for abstracts (250 words maximum) is 31st January 2015. However we welcome and will consider any suggestions for alternative discussion themes. The deadline for suggested discussion themes is 31st January 2015. Parking is available on campus: no permit is necessary at the weekend. The cost of the conference is £20 (Waged) or £10 (Unwaged: Students, Unemployed & Retired), which includes all refreshments. The deadline for registration is 1st March 2015. Abstracts and discussion theme suggestions should be e-mailed to me (r.hosfield@rdg.ac.uk).